Period Features is a small company based in the attractive market town of Leek. They have worked hard to recreate a traditional Victorian ironmonger with the original shop fittings and authentic atmosphere. The store embodies all that the product is about. 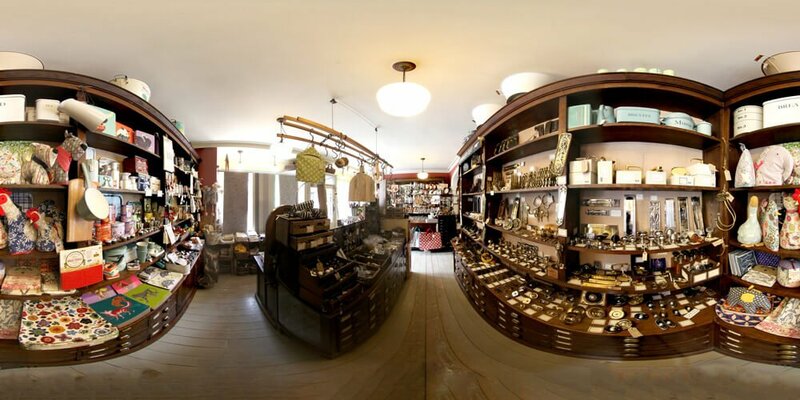 It is important for Period Features to showcase their store with Google Indoor View. The 360-degree virtual tour enables customers to see their supply of high-quality hardware, Farrow & Ball, Zoffany paint and all manner of household accessories. Staying small allows Period Features to offer a friendly, personal service. They don’t want their customers to feel like just another number. With a virtual tour, they enhanced this neighbourly image by keeping their doors open 24/7. Google Business View gives their customers the ability to walk around the shop anytime, anywhere. It increases trust in the business and provides customers with an idea of what the company is like. Period Features have added their Google Tour onto their website. Embedding the Map is a great way to encourage customers to come and visit! The bespoke style of shop sells vintage household accessories. The owners of the business wanted something that would show the diversity of product they sell in the store. Google Indoor Street View gives viewers a full 360-degree view of the shop, allowing them to control where they go and what they see. It’s important to remember that a picture captures a lot more detail than an eye would normally see. The images taken are going to be seen repeatedly, so it’s imperative the store looks the best it possibly can. Before having the photoshoot, we advise clients to clear up their interiors to ensure their business is being shown at its best.